The MIC2090 and MIC2091 are high-side MOSFET power switches optimized for general-purpose 50mA or 100mA low power distribution in circuits requiring over-current limiting and circuit protection. Typical applications for these parts are for switching power in USB ports, portable consumer items, camera and camcorder motor protection, thermal printer head protection, and many other low current-load switching applications. 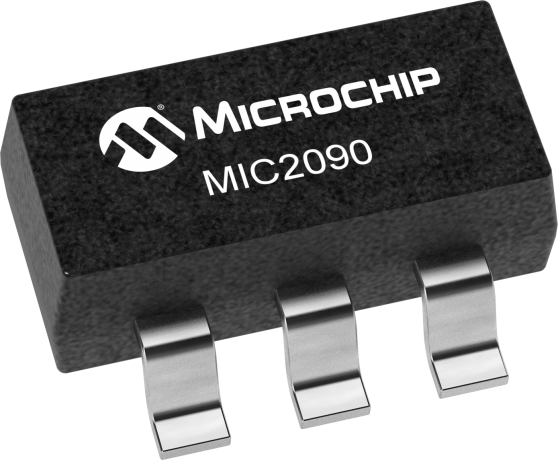 The MIC2090 and MIC2091 come in two versions: auto-retry current limit and output latch off on an over current fault. The MIC2090 and MIC2091 are offered in a space saving 5-pin SOT-23 package with an operating junction temperature range of -40°C to +125°C.